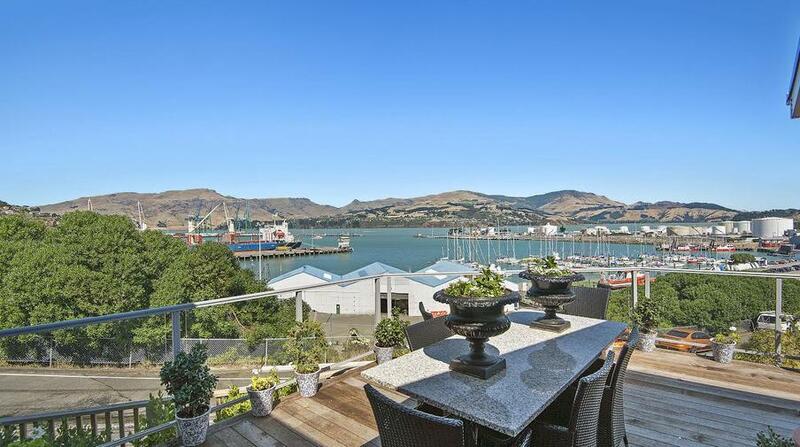 Brand new harbour lodge offering beautiful interiors, extensive decks and intimate sea views. Conveniently located within walking distance to one of New Zealand's top restaurants Roots. Great cafes, bars, Saturday market, secluded sheltered bays, mountain bike tracks, hill and coastal walks are all at your doorstep. A truly therapeutic experience awaits you at Lyttelton Lodge. Corporate catering available - please enquire. Modern and immaculate home. Lovely views from veranda! The owner was a fantastic host. She politely took a late night phone call from me when I arrived late and couldn't locate the keys. Other comments: The veiws are truely breath taking, a very healing stay. All amenities are in walking distance.